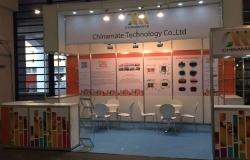 Chinamate Technology Co., Ltd. | Our color cartridge factory was established! Our color cartridge factory was established! 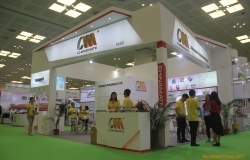 The company is located in the capital of China printing consumables - the beautiful coastal city of Zhuhai Jinding Industrial Park, with a factory area of 6,000 square meter and more than 200 highly trained & skilled employees. 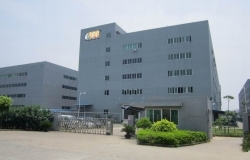 Our color cartridge factory and inkjet factory was opened in April 2012, is an environmental science and technology enterprise which supplies professional laser printer consumables, specializing in R&D, production and sales of color toner cartridges and black recycled cartridges. 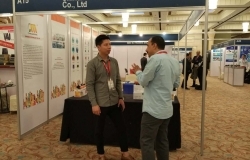 The company is located in the capital of China printing consumables - the beautiful coastal city of Zhuhai Jinding Industrial Park, with a factory area of 6,000 square meter and more than 200 highly trained & skilled employees. 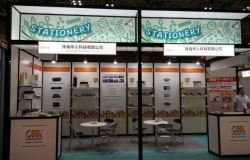 Keep pace with market demand, we develop new products constantly and adopted components, chips & toner powder through a strict selection from US, Japan and South Korea leading suppliers. Strictly implement ISO9001 quality standard system to achieve excellence on every detail & ensure product quality. Currently products including: color toner cartridge & black recycled cartridges. Our products are compatible with: HP, Canon, Samsung, Brother, Lexmark, Epson, Xerox, Dell, Konica Minolta, OKI and many other famous brands, models up to more than 150 varieties. We undertake export orders and OEM processing business as well as wholesale and retail business. Our color cartridge factory and inkjet factory has been an assured cartridge manufacturerthrough our large number of models, strict quality management, strong ability of new product development and competitive prices.